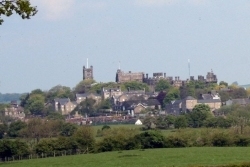 The Fairfield Association was formed by residents and friends of the Fairfield area of Lancaster (England) in October 1996, in response to the threat of housing development on a long-established children’s play area (Fairfield Green). The Fairfield Association saved the play area, improved it and installed new play equipment (2004). In 2012 Fairfield Green was given QE II status which ensures its status as a recreational area in perpetuity. Other projects have followed. 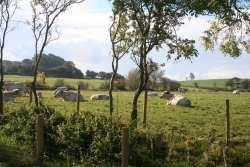 In 2000, the Millennium Green and Community Orchard was created and in 2012/13 the Fairfield Association established nature reserves on farmland nearby (first Fauna and then Flora). All our projects have been initiated by the community, and we are committed to full public consultation throughout the period that plans are being developed. 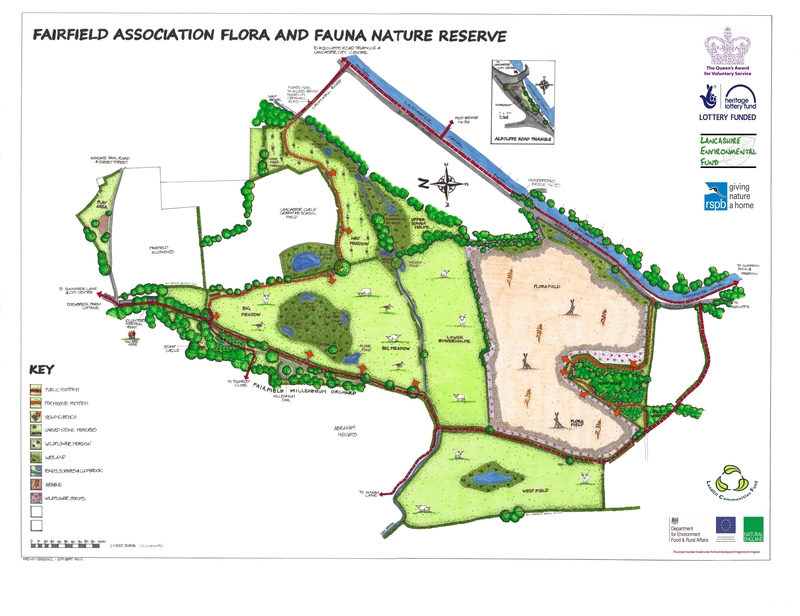 The Fairfield Association Flora and Fauna Nature Reserve is soon to be formally designated as a Local Nature Reserve which will give the area extra protection and ensure it appears on the Local Plan and O.S. maps. The preservation, enhancement and maintenance of public areas and amenities in the City of Lancaster, in particular the Fairfield area, for the benefit of the public. We raise funds through subscriptions and donations, for example by becoming a Fairfield Friend, and other fund-raising activities and community events. If you would like to join us, membership is open to everyone sympathetic to our aims, whether or not they live within the Fairfield area. We are proud that all sections of the community, young and old, have been involved in our work and helping us raise the money needed. In addition, our work has been supported by many organisations including Lancaster City Council, Lancaster Green Spaces, the Probation Service and the National Lottery (through the Millennium Greens Fund and the Community Fund). Our largest and most popular event is Fun Day held every two years on Fairfield Green (by the play area) on the first Saturday in July; we also organise carol-singing at Christmas (in the local community) and organise regular Work Party sessions in the Orchard and across the Flora and Fauna reserves. There is an Annual General Meeting in May or June every year as well as regular committee meetings, the dates of which can be found on the Calendar. Our meetings are open to all interested members, and reports are placed on the website in the Meetings section of the 'Supporting Us' area. There is a regular newsletter, and newsflashes may appear on the website from time to time. If you are interested in reading more about the history of the Fairfield Association, an article tracing its development was published in the local history journal Contrebis (Volume 35 pp. 70-78) in 2017.